Find out all about Rhys Bowen on her Webpage Here. What a great opportunity, as.I am currently reading Queen of Hearts and would love to read this one! I enjoy Georgie and would appreciate the chance to read more about her and less about her Mum. Thanks for the chance to win! I had started this wonderful series some years ago but we moved to a small town that had a terrible library. We’re back now so I just need to start then all over again. Her other series was good also. I have this book on my “must read” list! The royal twist is fun…yeah for the giveaway! I am endeared with all Rhys’ ladies. Love to win this one. I love historical novels. I’m glad for your sucess with this series. 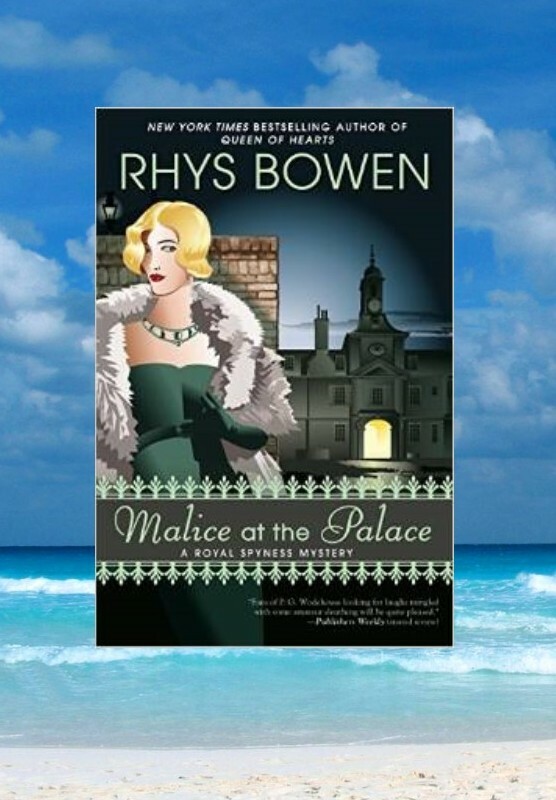 I love this series…the characters are just quirky enough and the mystery always a great read. I love this series. Keep them coming!!! Thanks for the giveaway! This looks like a great series. Can’t wait to start reading. I love the series but only own 4 of the books. I’d love to be the lucky winner to help grow my collection of Ms. Bowen’s series. We love Rhys Bowen’s books. I can assure you this one will be devoured. Thanks for the chance to win it. What a terrific series. Georgie is always surprising and so much fun. Thanks for the giveaway. Love all of Rhys’ books. Rhys Bowen’s books are captivating and intriguing. Thanks for this feature and great giveaway. Love Rhys’ books and this is such a great giveaway ! Thanks for the chance to win! I loved the Twelve Clues of Christmas! Love your books and this series is so entertaining. What an awesome opportunity to win a great Mystery, love them so much. Can’t help but love that clever title and fun cover. Another new cozy series! Sounds like a really fun mystery series.I haven’ t read any in the series yet. I really enjoy Rhys’s books and look forward to reading this one. Cozy Wednesday with Richard Audry – Author of the King Harald Mysteries – Giveaway too! Special Guest – Daryl Wood Gerber – Author of Fudging the Books – Giveaway too!